When it comes to planning a trip or vacation, choosing where you stay is a big part of the equation. If you’re looking for a more personal and intimate experience, then staying at a bed and breakfast might be the perfect choice. But, if you’ve never stayed at a bed and breakfast before, then you may be wondering: “What is a bed and breakfast, exactly?”. That’s a good question, so hopefully our answers will prove enlightening. While there is no set definition that travelers and innkeepers across the board agree on, all bed and breakfasts have some trademark characteristics that set them apart from other accommodations. Most bed and breakfasts are in modified or restored private homes and mansions and have an average of 5-10 rooms. Many of these buildings are historic and furnished with antiques or antique reproductions. While some inns have shared bathrooms, most bed and breakfasts now have private baths. And a great number of bed and breakfasts have luxury amenities like spa tubs. Often, a bed and breakfast will have a theme or reflect the unique personality of the community its in. 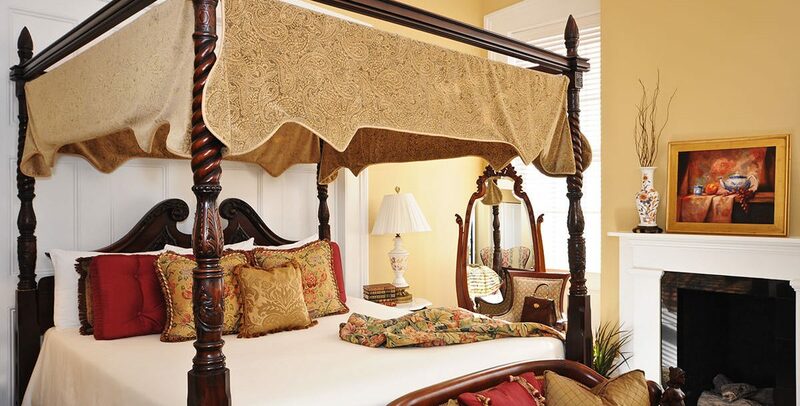 For example, Presidents’ Quarters Inn exudes the southern charm and hospitality that Savannah, GA is known for. What is a bed and breakfast? A chance to spend time in a beautiful place with unique charm. The second important characteristic of the bed and breakfast is of course breakfast. Guests get to enjoy a hot breakfast served in welcoming dining rooms with fellow visitors or perhaps take the meal in their room. Traditionally, breakfast is the only meal served but many bed and breakfasts today have on site restaurants that serve lunch and dinner. What is a bed and breakfast? Somewhere to start your day right with a delicious hot meal. Innkeepers at bed and breakfasts come from a wide range of backgrounds and each bring their own personality to the bed and breakfast experience to guests. These people are passionate about hospitality and ensuring their guests have a memorable experience. Many innkeepers are part of associations like Select Registry and the Professional Association of Innkeepers International (PAII) so that owners and staff members can keep up with the latest in the industry. What is a bed and breakfast? A place an innkeeper has put hard work and love into. Due to the smaller number of rooms, guests at bed and breakfasts have a more intimate experience. From individual attention from the staff to bonding with your fellow guests, staying at a bed and breakfast is a more personalized way to vacation. Many bed and breakfasts even have afternoon gatherings featuring wine and cheese, a perfect opportunity for guests to socialize. What is a bed and breakfast? A perfect place to meet new people and form friendships. Now that you know more about what a bed and breakfast is, you can book your stay at Presidents’ Quarters Inn to experience it for yourself! Our inn is located in Savannah’s historic district on Oglethorpe Square. The prime location makes it easy and convenient to walk to local restaurants, shopping and historic sites – including famous River Street and City Market. Our inn is also pet friendly so even the furry members of your family can come along. 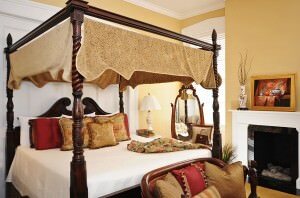 Take a look at our rooms and suites, each decorated in luxurious southern style and offering updated private baths. Plus, your stay includes a delicious hot Southern breakfast each morning. Book today and let the Presidents’ Quarters Inn answer the question, “What is a bed and breakfast?” We’ll show you the perfect example.